Robert H. “Bob” Nunnally, Jr. has over 30 years’ experience handling cases in both Texas and California. He has courtroom experience ranging from a trial to approve a plan to rehabilitate a on billion dollar life insurance company down to the most basic business and landlord/tenant disputes representing consumers and small business owners. Bob has also provided advice and transactional assistance to small business owners in connection with contract, intellectual property licenses, sales of businesses and complex insurance matters. He has assisted a diverse range of clients, from software designers and film producers to overseas distributors of medical products. He has handled a number of cases assisting state insurance relators, policyholders, creditors and shareholder with the difficult issues that arise when an insurance company becomes insolvent. Bob grew up in Gurdon, Arkansas, a small town surrounded by a pine forest. 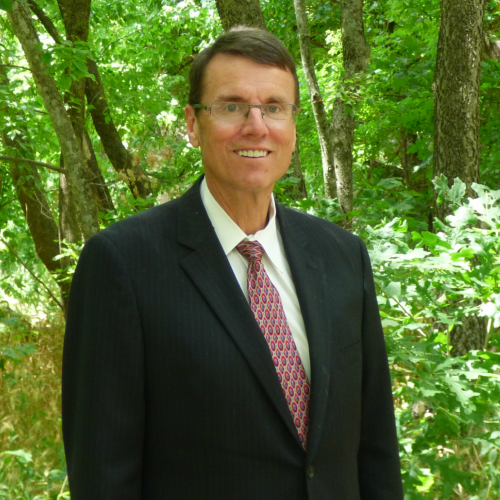 Bob began his law practice living in Mesquite and practicing in Dallas. Before founding Wisener Nunnally, LLP, Bob was a shareholder in Rubinstein & Perry, a Professional Corporation, a nationally-known Los Angeles firm. Prior to his move to Los Angeles, Bob began his career trying cases and providing advice to clients in Dallas. He was admitted to practice in Texas state courts in 1984 and in California state courts in 1988. He was granted registration in the patent bar in 2000. He is also admitted to practice before the United States Supreme Court, the United States Ninth Circuit Court of Appeals and the United States Courts for the Northern District of Texas and Central District of California. Bob received his undergraduate degree in physics from the University of Arkansas. In 1984, he received his Juris Doctorate from the University of Arkansas at Little Rock School of Law, graduating with high honors. He has presented seminars to both private and governmental groups regarding insurance company insolvency. Bob co-founded Wisener Nunnally, LLP out of a desire to help “real people” with the real issues which arise in their lives, whether they arise from business, consumer matters, or insurance insolvencies. Bob has alway sought to represent consumers and small businesses as well as corporate and regulatory interests in his practice. Though most of his practice has been devoted to ligation matters and insurance company insolvency matters, his practice also involves transactional work, particularly in the field of intellectual property licensing. Along with his partners, Bob seeks in his practice to help people with their legal problems large and small. Bob has three times received awards from the Dallas Volunteer Attorney Project for pro bono work assisting its Garland legal clinic. Bob has served in the past as a president of the Garland Bar Association. Bob and his wife, Merrill, have no children but enjoy spending time with their dog. In their spare time, Bob and Merrill like hiking, visiting public gardens, and seeing interesting movies. Bob enjoys birding and is an avid chess player. Bob has written light free verse for publication in literary magazines and books for over 35 years. Bob is active in the Creative Commons netlabel music scene, both as a creator of electronic music and in connection with site administration. Bob’s practice provides him with a meaningful opportunity to work on both sophisticated and major litigation and transaction, as well as cases and transactions benefitting consumer clients. He seeks to bring his experience to both at Wisener Nunnally Roth, LLP.